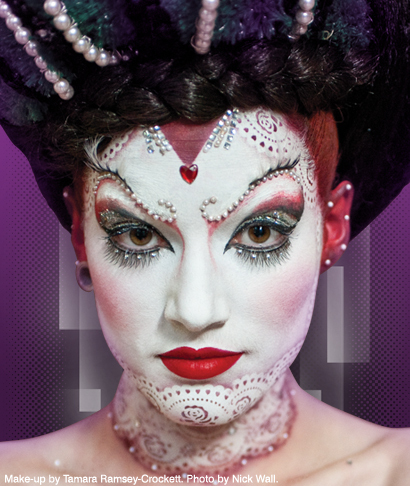 This weekend will see the arrival of the most exciting event in the Make-Up calendar…IMATS! For those of you who have been in previous years, I’m sure the tickets have been booked for many months, for those of you new to the experience, you can still buy tickets, but hurry! Hosted at Alexandra Palace, IMATS showcases the best of student and pro talent, with Illamasqua occupying a large stand (811) to meet you all near to the Education stage. The talented, professional Illamasqua team are busily preparing for IMATS 2011. 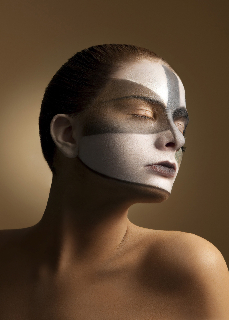 The expert team of six professional Make-Up artists will be providing stunning transformations across both days and will be on hand to share their creativity and advice with any who visit them at the Illamasqua stand (811). Many of the artists attending IMATS represent Illamasqua as National Artists, including Mika, Daniel Sallstrom and Clare Lille who regularly travel across the UK to share their visions and talent with Illamasqua followers. All 4 wonderful assistants to Spob, Illamasqua’s Head of Professional Development will also be working hard at IMATS this year, transforming models and talking to any aspiring Make-Up artists. Working closely with Illamasqua to share their creative talent and fresh, evolving imaginations, Tamara Ramsey Crockett, Kat Sykes, Hailey Williams and Emma Foley have been involved with many artistic projects with Illamasqua. 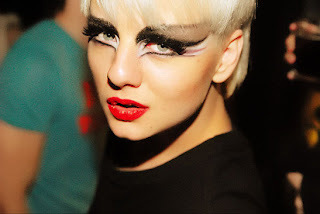 Tamara, a graduate of West Thames was last year’s overall winner with her beautifully striking entry for 2010…. 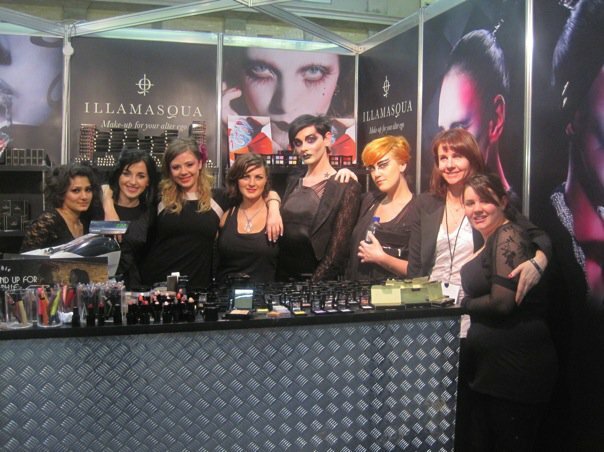 Kat Sykes, Southampton Solent’s Student of the Year for 2010 will also be assisting the Illamasqua team this weekend…. 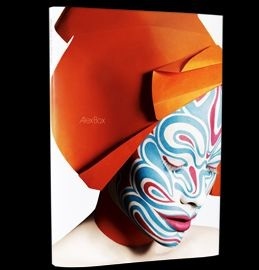 Alex Box, Creative Director for Illamasqua will be performing a ‘Make-Up transition set to music’ this weekend to inspire those adoring fans among you, with the opportunity to meet her for a book signing after as well. Alex will also announce the details of a huge competition launch for Illamasqua after her performance so a visit to watch her is certainly a must for the schedule. Another exciting competition will be running across both days of IMATS with the chance to win some fantastic prizes…all you have to do is visit the counter to find out all of the exciting details and enter! 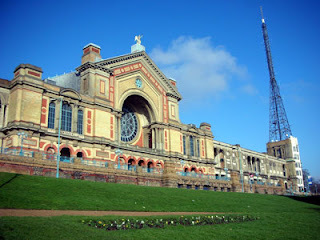 Tickets can be bought on the Day or to purchase them in advance click here. 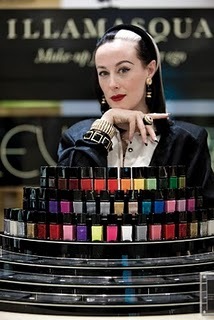 IMATS promises to be a colour saturated, swatch crazed fusion of professional and student artists from across the globe…and Illamasqua has the fortune of being there to join in! Come and visit us at Stand 811!